Humanity is always looking for improvements which will help our customers and make their life easy. We have a really talented team who is working hard to look for new features and add it to our application as fast as they can, but the most important thing is that, we improve our application continuously by listening to the needs of our valued customers and we have done it pretty well. You can see it here. Today we are happy to announce that our new iCal feature is live. What is iCal Feature and how it is helpful? The iCal feature helps you to import your yearly events and/or holidays into Humanity with ease. 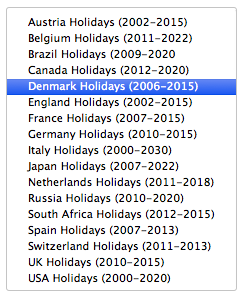 Yes, now you can easily import your Google, iOS and many other calendars into Humanity. 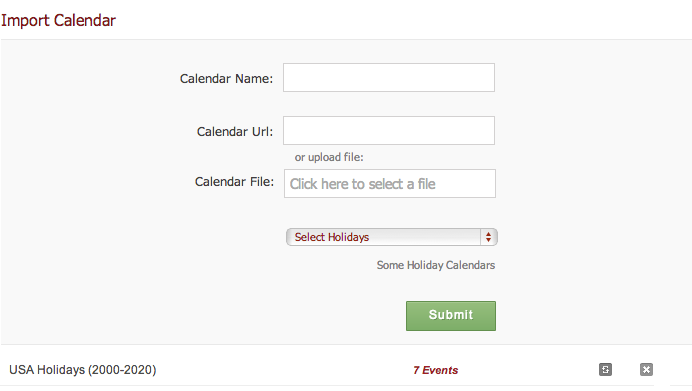 The idea here is to import holiday calendar or your custom business calendar marked with your own events. This will be helpful for managers and or admins to have ability to see events, holidays related to your business all in one place; therefore; it will be easy to manage certain scheduling activities for your business as you can have a better view of annual holidays and events. How can I access this feature and how to use it? 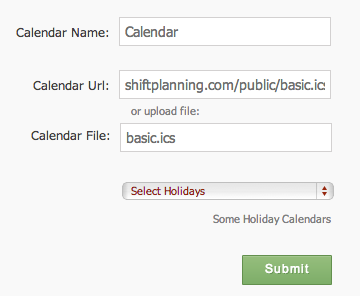 You can select the holiday calendar you want to import and click submit. We hope this iCal feature will help you better manage your business schedule giving you view of current & future events and holidays. If you have any questions or concerns, please feel free to comment below, email us at info@Humanity.com, or tweet us @Humanity.